Our weekly Mevlevi zikr gathering opens with a communal reading of Surah al-Fatihah, the Opening Chapter of the Quran. We invoke God’s mercy together, and ask for guidance as we struggle along the Way. Once we have recited the Fatihah, we open ourselves to Divine presence in a silent zikr of La ilaha illa Allah (‘There is no god but God’). Huddled at the back, left-hand corner of a large hall, me and a handful of other women would gather to take part in the Islamic Friday prayer at our university in British Columbia the early 2000s. Meanwhile at the front of the room, where light streamed in from the windows, dozens of young men stood side-by-side in rows. We recited the same prayer, but the gap in our experience was far wider than the swath of carpet separating the masculine and feminine in most Islamic religious spaces. As soon as we would say our final salams, I would dash for the door as quickly as I’d arrived. 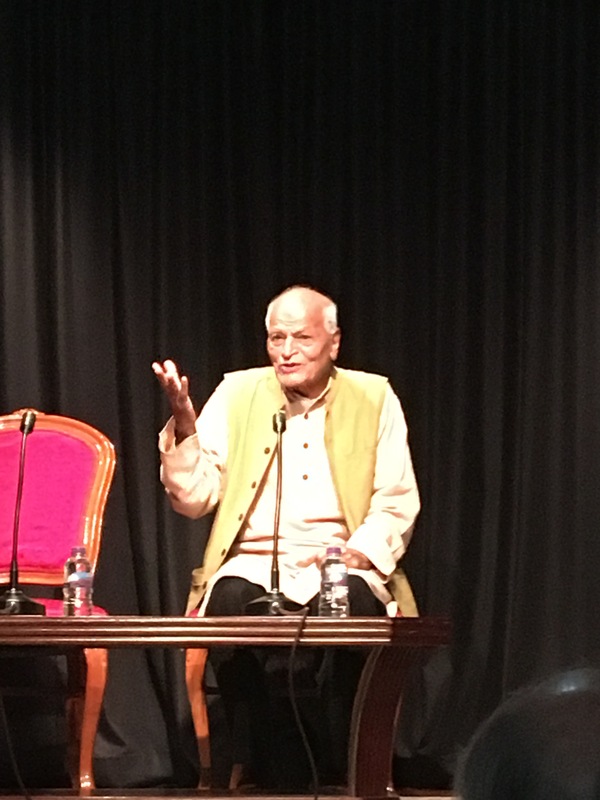 I attended the Gandhi Foundation’s annual lecture 2017 given by the wonderful Satish Kumar who exuded light. Satish began his talk by describing the Gandhian ideal of service. This ideal had persuaded him to leave his Jain monastery at the age of 18 and come into the world because Gandhi taught that spirituality is not found in rituals but in service. We can make our work spiritual by adopting an attitude of service e.g. a teacher serving his pupils, a doctor serving her patients, a politician serving his constituents. In this way we bring together our profession and our vocation. Earning money and making a living is fine, but if we make our work an act of service then it becomes a spiritual practice. Gandhi showed how politics can be spiritual. The irony is that if we are just trying to looking after ourselves then we will feel miserable, whereas if we try to serve others then we will experience joy. [To quote another spiritual teacher, “if you want to be selfish be wisely selfish”]. The best way we can help ourselves is to help others. Whereas other political ideologies such as socialism or utilitarianism just think in terms of improving human society and “the greatest good for the greatest number”, Gandhi proposed the ideal of Sarvodaya meaning ‘the upliftment of the whole’. The ‘whole’ includes all species, and all people – we need to benefit all, not just the majority. We need to benefit all species: elephants, lions, snakes, earthworms. Satish spoke movingly about the work that earthworms perform (without wages, holidays, or going on strike!) of turning the earth, making it soft and friable. Apparently each earthworm turns 6 tons of soil in its lifetime. When Satish sees an earthworm in his garden he thanks it. We need an economy that is based on valuing work, on growing food, on community, on crafts, on arts. The prefix ‘eco’ in economy and ecology comes from the Greek word ‘ecos’ meaning ‘house’, and their real ‘eco’ meaning is about building and respecting our abode, the earth. However, our current economic system does not do this, instead it is a ‘moneyconomy’, all about increasing the amount of money without regard for the creation of actual value. Activities such as prostitution, and police responses to terrorism all add up in the moneyconomy but they do not really add value to our abode. The true economy should measure welfare, and there is potentially no limit to this because it is a function of the human soul, individually and communally. There is no real separation between individual and community: “I am because you are”. Use pinto, kidney, or black ‘turtle’ beans (the beans in the photo above are pinto). 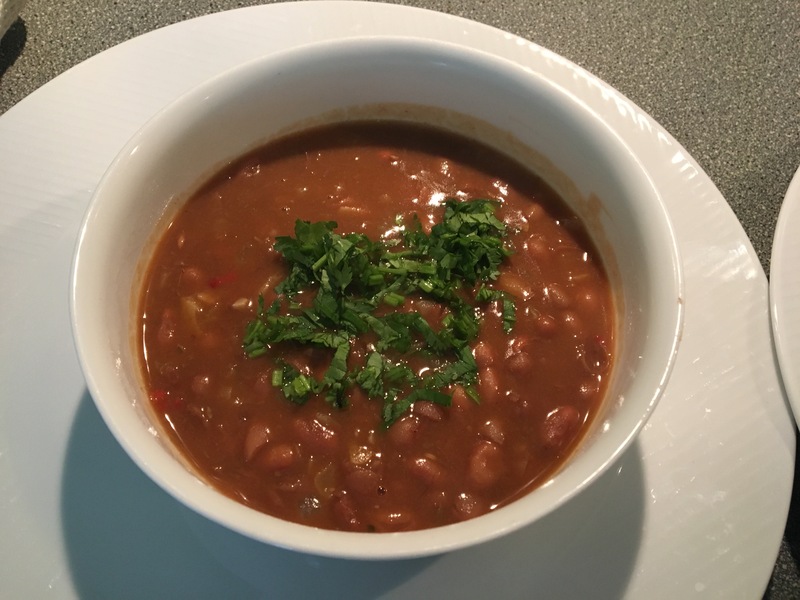 Put beans in big saucepan or pressure cooker and cover with unsalted water so that the water is about 3 inches above beans. Add a single clove spice ‘nail’. Bring water to boil and make sure the beans boil hard for at least 2 mins. Turn heat down and simmer beans for about 1.5 hours (or much less if using pressure cooker – check manufacturer’s instructions). If using normal pan, check regularly to make sure there is enough water to cover beans. Add more water if necessary. Check that the beans are cooked. They should be soft. If they are hard then cook for longer. Now, keeping the beans and the cooking liquor in the pan, add a heaped teaspoon of vegetable bouillon, a squeeze of tomato puree, and a good pinch of salt to the beans. Simmer down the beans for another 30-40 minutes until the liquor has concentrated and thickened. Towards the end of the simmering period, in a separate frying pan in 2 tablespoons of olive oil fry a finely chopped large onion, a fresh chilli, and some garlic. When the onion is golden, add a heaped teaspoon of ground cumin and a flat teaspoon of paprika (sweet and/or smoked). Fry the mixture for 2 more minutes until the spices become fragrant. Add the onion mixture to the simmering bean pan (deglaze the frying pan with some of the bean juice to get all the flavour), stir. Simmer the beans and onion mix for another 3 minutes. Check seasoning and add salt to taste. Add finely chopped coriander leaves and stalks, stir. This text is an English translation of a Khutba (sermon) given in Spanish by Sidi Hashim Cabrera, specifically Khutba 4 from the book ‘Khutbas of Dar-as-Salam‘. The Quranic translations are by Muhammad Asad, but I have done the translation from Spanish myself and am responsible for any errors. 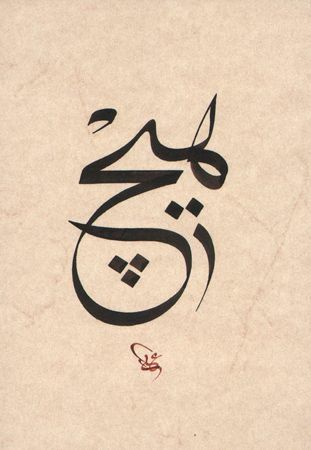 I have left many of the key Arabic terms untranslated, as per the original sermon. A key term is ‘maqaam’ meaning ‘spiritual station’. Another key term is ‘nafs’ meaning ‘soul’. The maqaam of Nuh [Noah], peace be upon him, is the beginning of the spiritual journey, of the interior voyage. It is the purification that our body needs to regain its natural luminosity. In this maqaam our Tahara is established, the deepest and most pervasive ablution or ghusl. This purification by water is the test that assays us, that prepares us, giving us the necessary strength and knowledge to be able to live the Revelation in our own being and thus be able to develop as conscious creatures. Allah gives us form in the womb of our mothers. We evolve within the placenta, floating in nourishing, protective, hospitable water. In this way our Sustainer prepares us to receive light in the world of shadows where we must be born. In this maqaam, within our mothers, we experience another light, a light that is tinged with the blue of water, a light now screened by an animal skin, maternal and human. According to Semnani, within our energetic body of light, the latifa related to this maqaam is called latifa nafsiya, and it is the subtle organ that governs the organic and vital soul, the sensing soul, the centre from whence surge the desires and passions. In the Qur’an it appears under the term nafs ammara, the commanding I (Sura 12, Aya 53). Of this nafs ammara Allah says, in relation to the human being, it “undoubtedly incites evil.” Is it the I of the senses, which lends credibility and reality to what our eyes see and our ears hear, and nothing more than that. It is the unconsciousness associated with entropy, it is a raw nafs, an unpolished I that overflows in waves without limit, which is always trying to find expression, the form it might be, a torrent of energy. Our basic humanity is undergoing its test of maturity, the maqaam where the nature of our voyage is decided. Traditional medicine is very familiar with the purifying effect of this subtle center. To restore the energy balance lost by disease it is necessary to rid the belly of fire through cold water on the skin, causing a thermal reaction. The medicine of Nuh is a medicine of health as it works on the causes of chaos, of imbalance, which is always excessive fire, heat, inside of a human being who is essentially water. It is about restoring thermal equilibrium, levelling the balance between the internal and external through water. This tempers us, but we must be willing to withstand the cold on our skin during the journey. To make the voyage through this night of chaos, from the darkness of the senses to the luminous perception of Fajr, of the spiritual dawn, of Ishraaq, it is necessary to understand the deep meanings of the revelation of Nuh, peace be upon him, to understand the purificatory meaning of conscious servanthood and submission to Allah. Desire is life and life is heat that expands. Humans distract ourselves with the names and this distraction ends up altering our own sensibility. Our senses don’t only get drunk on chemical substances but are intoxicated by thoughts and images, and so our experience is degraded. We became a turbid consciousness, possessed of insufficient clarity to distinguish between what we’re seeing and what, without control, we imagine and project. Our heat stops expanding and gets locked inside, and our skin is cooled. 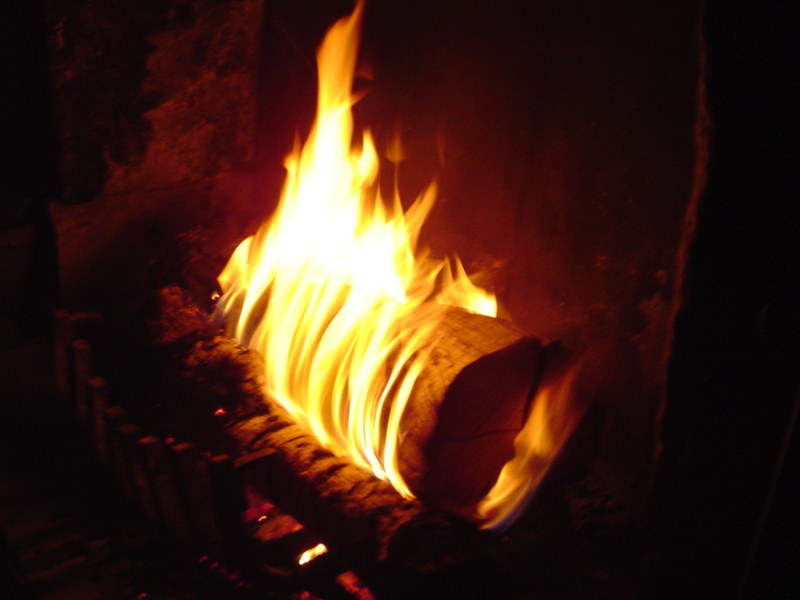 We experience a walled-up combustion in the belly, an imprisoned energy in a moulded, permeable body of clay. Turbidity is a resistance to the passage of light through water. They are impurities, ashes of light, but they are also living organisms because water is the placenta of our Earth. Life arises and grows like a light passing through the water, a white light that reveals blue bands, luminous blue, fluid and undulating. Interestingly they are the same symbolic colours that Christianity assigns to the Immaculate Conception. Light passing through the waters is the Revelation that Allah performs through His messengers, peace be with them. In this case Nuh, who brings the revelation of our spiritual birth, our first experience as creatures in a state of submission and as believers, as muslims and mu’mins, Alhamdulillah. Adam became the first muslim when he submitted to Allah by making Tauba to Him. Nuh is the first mu’min because he is the first human to feel an inner recitation, a certain Revelation from Allah, an awareness of the Real in his heart. Nuh, peace be upon him, warned his people and pointed the way to submit to Allah, to worship Him, trying to bring them into the light, to show them Tawhid, but the dignitaries refused to acknowledge the truth and they fought against him, like all the prophets after him, with the same or similar arguments: “this man is nothing but a man like yourselves … if Allah had wanted to convey a message he would have performed miracles,” etc. Certainly there are many messages in this story. One of these is the crude expression of a fracture in humanity. Internal division forms part of the creation of the human being who, upon being made a confidant in the names of things, apparently loses Tawhid in the stare of the other but may be redirected through the consciousness of Allah, through the Tawhid of islam and iman up to the unitary and elevated light of ihsan. The wound may be closed but we must preserve awareness, cultivate it, because consciousness cannot be imposed but arises and grows in the nucleus of the human heart. But there are people who are refract the Light, who are closed to His message. Allah, Subhana wa Ta’ala, wants to purify the community and admonishes Nuh, telling him not to plead for those who are bent on denying the truth and on evil-doing. On these has already been rendered judgement, precisely because their hearts have been closed and sealed. 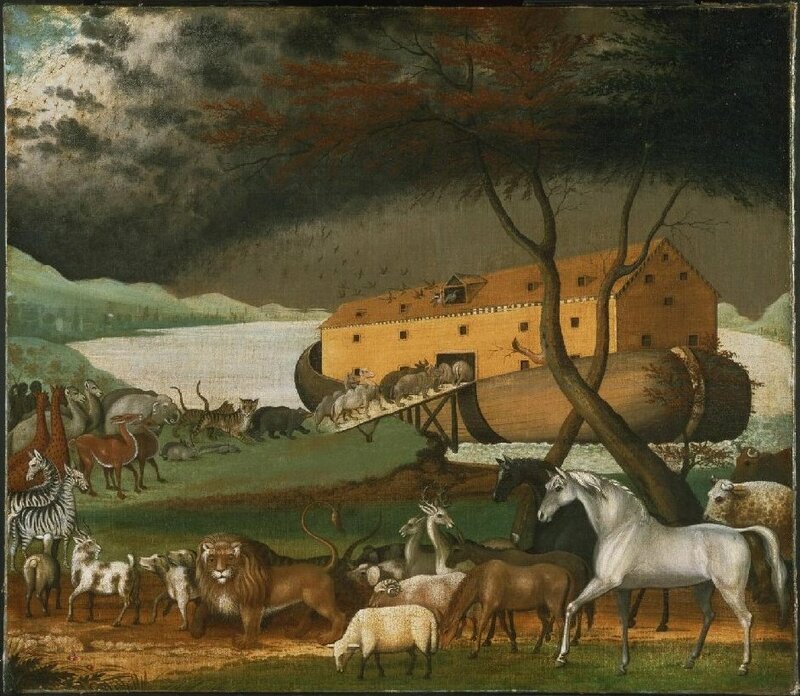 Nuh pleaded for them not out of naivety but out of compassion and kindness, out of the desire that all souls might be saved; not for nothing his mission was to build a ship and save the entire animal soul: a pair of animals of each species and his own human family. The surviving human being survived complete with his animal soul, organic and functional, but now it is a soul tested with submission to Allah and comforted with His Protection, with His aman [sic]. Whosoever can’t endure the test doesn’t just remain veiled to Reality but also his vital soul fades prematurely until it stops fluttering. Nuh receives the Revelation while feeling the rejection and hostility of his own people, his own family. The maqaam of Nuh is the journey that we have to make from maqaam to maqaam, from prophet to prophet, until the luminous circle of Revelation is complete, crossing the great waters, the toughest circumstances. Along the way we acquire a spiritual force that arises in us and makes us mu’minoon, while we are immersed in adversity, feeling hostility and resistance from others and from ourselves. Sailing in the ship of Nuh implies transcending the names, concepts and images, transcending one’s own vision. This navigation of light, crossing the great waters, feeling the moisture on our skin, is the first happening of the soul, the nafs, its first experience of the luminous and subtle world. It is the time when Allah blows Suruh [sic] into the gestating being and grants the dignity of being truly human. From this moment Allah is preparing us to face the moment of our earthly birth, the passage from the water world to the world of air, so that we may finally pass through the skin of our mothers. From that transcendental moment the ship sails on the waters against the current, scanning the horizon outside, trying to find the source from whence arise the waves and tides of appearance, until it finds calm. The maqaam of Nuh brings us awareness of our voyage, of its scope and meaning. It is the awareness of our condition in the face of Reality. We submit or rebel. There is no half-stepping. The waters flood in and there is no longer any time for repairs. Those who climb into the boat of consciousness are saved, unbelievers inevitably drown because they are veiled with the things of the world, with their names and images, and do not realize that the waters overflowed a while ago. And this is what we perceive when we sail in this boat of the mu’minoon . . . we feel the desperate expressions of the unbelieving like a fire in the belly and our skin feels a chill, because we are human and we are affected by everything that affects humanity and creation. The caliphate, the realization of the promise of Allah in the human being, began its evolution in the ship of Nuh. It Is the first caliphate of the ummah because until that point the community had lived without guidance or direction, it was just a vital humanity abandoned to an irreversible dissolution, to entropy, gone astray through language. Then Allah arouses a luminous khalifa in us, a prophet who will guide us through the trial, who will purify us until we arrive at a doorway where every member of our community will eventually become a khalifa of Reality, a khalifa ullah. The mu’min navigates by the name of Allah and moors the ship with His name. This is the ship of fools [. . .] of Allah, of the enlightened who are saved because they feel that everything depends on His power, because they discover His compassion and His light in every heartbeat, Alhamdulillah. Nuh, peace be upon him, is sailing with us as we listen to the Revelation that Allah is performing through him. The Nuh of our being is the consciousness of our essential vitality and the urgent need to purify ourselves, to separate the coarse from the subtle, to restore our balance in the world. It is the maqaam of the overall health of our body, because it is the balance of light in water, the key to the balance between the internal and the external, a corporeal manifestation of our submission. We are created from a qutb, from an axis that opens up an intense polarity until there is a splitting into pairs of our kidneys and glands which, for balance, are required to compensate for the heat and the entropy in the midst of water. And all this leads to different states, maqaams which are like these giant waves that the Quran describes. The Revelation of Nuh, peace be upon him, makes us voyagers through the maqaams, pilgrims from light unto Light. Alhamdulillah. Nuh carries us across the great waters, guides us in the night sea. He shows us the compass indicating the direction of our journey, our qibla. Such guidance is not, in this case, to the geographical east or the east of the Orientalists, but to the east where the Light of lights dawns, towards the Ishraaq. Nuh takes us from the west of the shadows, from the twilight of fire, darkness and ignorance. During his journey in this maqaam, Suhrawardi witnessed the appearance on the horizon of the Star of Yemen, Suhail or Canopus, which rises “on some wispy clouds woven by the spiders of the elemental world, in the world of generation and dissolution.” The Star of Yemen points us to the east of spiritual dawning, the direction in which the Fountain of Life is found. It was this bright wink which Muhammad felt, peace [and blessings] be upon him, when he said, “I feel the Breath of the Merciful coming from the direction of Yemen.” The Prophet, peace be upon him, was referring to the spiritual light of his contemporary gnostic who lived in that land, a salih called Oways al Qarani who knew him without ever having physically seen him, and whom the prophet also knew in the same way. Oways had no visible human teacher but this didn’t stop him from feeling the Guide inside him. For that reason seekers without a visible guide call themselves owaysis. The appearance of the Star of Yemen during the spiritual journey means that we have already abandoned the west of the shadows, that now we are crossing over to our true destination which is none other than the Fountain of Life, the Light that is neither from the east nor the west and which burns without having been touched by fire. Light upon Light. Allah, Subhana wa Ta’ala, enlightens whom He will. Political faultlines are determined by the limits of love. When analysing politics we typically focus on the areas beyond those limits, where the absence of love can be interpreted as hate. But no one wants to be identified as a hater because we like to see ourselves as lovers. In the aftermath of the Brexit referendum, despite the upswell of racism, Brexiteers deeply resented being identified with racism because they felt their own motivation to be love: love for their country as they understand it; love for Britishness as they know it; love for their community; love for people like them. It is of course our own likeness that we vote for, that we see reflected in the political mirror. We want to vote for and with people like us. This is the meaning of identity politics, and it is much more powerful than any rational debate about policy. We are like, and we love a certain group of people and because we are voting for their interests we feel our intentions to be noble. Therefore we feel offended if people disparage or criticise us for our voting decision. But what we forget about is people outside our circle of love, whether they be Muslims, Jews, homosexuals, immigrants, trade unionists, single mums etc. And whereas billionaires own the media in order to continually remind us of the importance of their interests, some other groups can do little more than mew plaintively when they find themselves outside the circle of love. It is warm and cozy inside, but bleak and lonely outside. Inside the circle of political love, contented voters warm themselves on the log fire of steadily-rising asset prices and well-paid jobs. Outside, through the window, the working poor try to peer in, as the step-ladder is chopped up beneath their feet for firewood. The fat and contented voters inside just can’t see the poor outside the window, so consumed are they by the love and admiration they feel for each other, and by their concentration and chumminess as they observe the etiquettes of hospitality and pass round the canapés, with such refined manners! I find myself drawn to Allah’s names of majesty and wrath such as al-Azim, the Tremendous. Daniel chooses strong words and images on these pages: earthquakes, sinews, mountains, cracks and dust. Through the cracks wrought by earthquake and mountain-splitting, there is always the leavening of light, which Daniel invokes using a Leonard Cohen quote. Daniel could have gone back to Rumi for the original but it is in the spirit of this wonderful book to embrace variety and diversity wherever possible. Just as light brightens cracks, the book reminds us how the awe expressed in the Prophet Muhammad’s earnest prayer of submission was softened, by his allowing his beloved grandsons Hassan and Hussein to climb and play on him as he prayed. I recall the powerful idea of being broken (shikast) as an initiatory stage on the path to God, which seems closely related to al-Azim. Daniel echoes the question from the Qur’an: Who could give life to bones that have crumbled to dust? It will be inspiring for readers to contemplate the answer. I think that The 99 Names of God by Chickpea Press is a tremendous achievement, and I hope it will bring light and hope to many people.